"Resurrection will one day be as common as birth. The only reason we don't have the same assurance about the resurrection as we have about birth is because we are not seeing that happen daily before our eyes as we see birth. 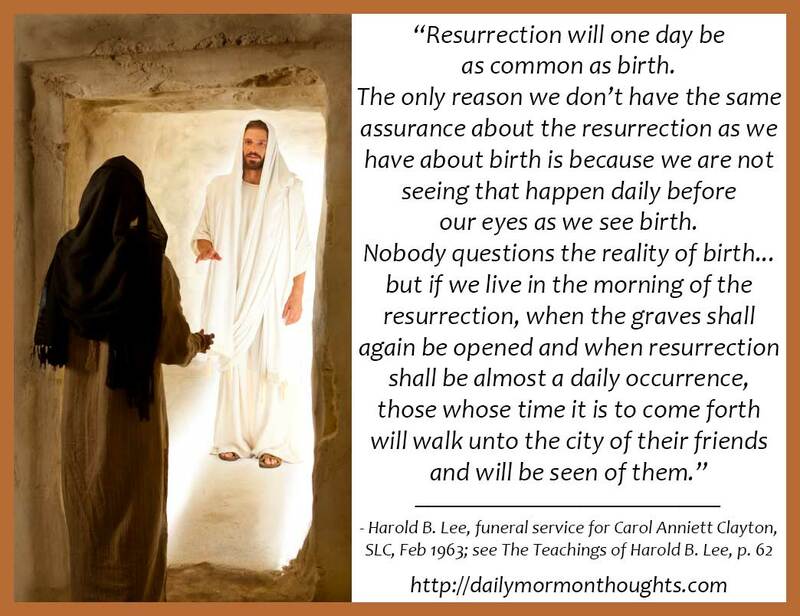 Nobody questions the reality of birth, which is just as much a mystery to our understanding as the resurrection of a body that is dead; but if we live in the morning of the resurrection, when the graves shall again be opened and when resurrection shall be almost a daily occurrence, those whose time it is to come forth will walk unto the city of their friends and will be seen of them. 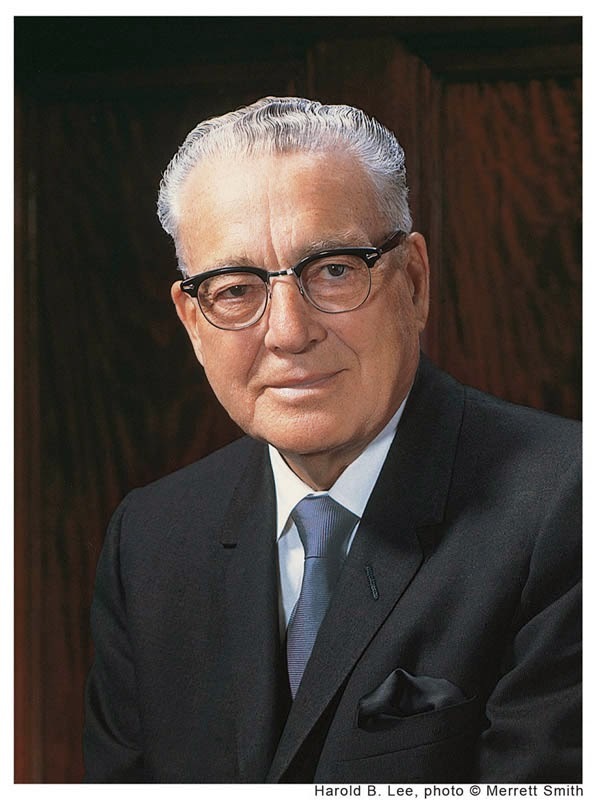 We will speculate then, just as we do now about the coming of a baby when there is evidence that a new one is in prospect, and we will confidently look forward to continued resurrection of friends and loved ones." What a fascinating thing to ponder. Those will be amazing times, to be experiencing the resurrection as directly and commonly as we experience birth—if not moreso!